So here we are, the end of season 2…The recipes have been great! 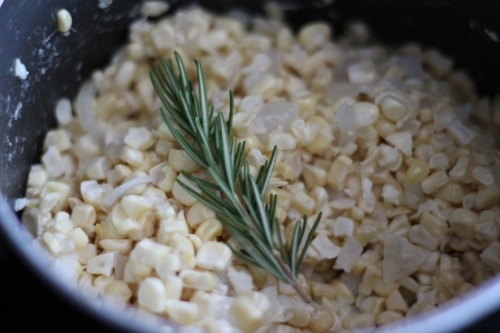 No better way to end it than with the perfect side dishes for Summer. We have 3 recipes, so let’s get right to it. What are we making? 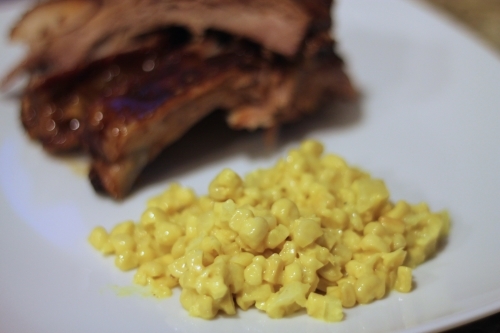 Creamed Corn, Creamed Corn Cornbread, and Popcorn. Got it? 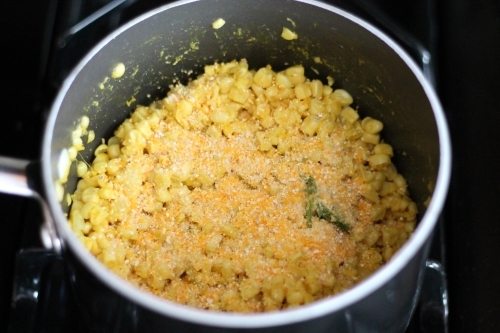 Let’s begin with the Creamed Corn, one of my personal favorites! 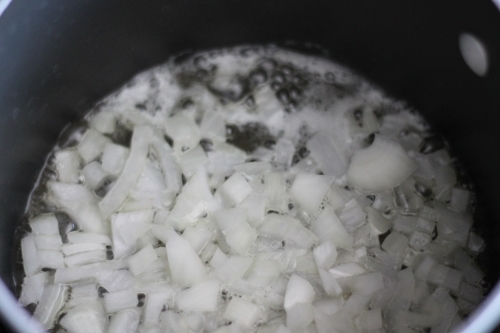 Sweat an onion in a pan with butter. Sweating is low heat, if there’s any browning, your heat is too high. While that’s going on, grab a large pan and stack 4-5 paper or Styrofoam bowls. Place these in the middle of the pan. This is going to be our carving station. 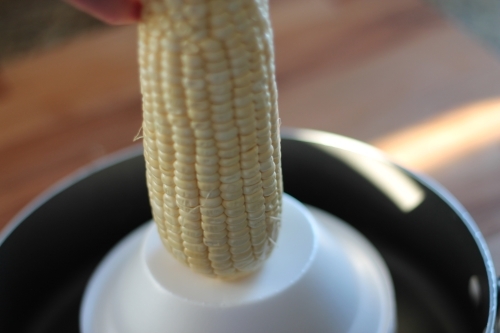 Next, start shaving the corn off the cob. Don’t go too deep. 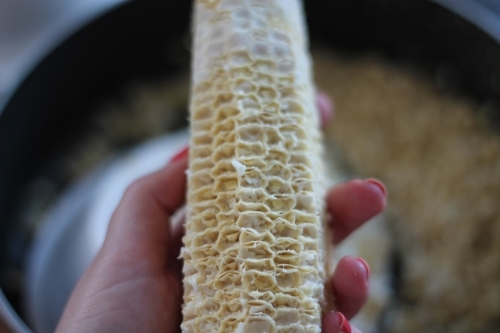 When you think you’ve got it all, flip the knife over, use the spine side of the blade and scrape out the endosperm. When it looks like a honeycomb, you’re done. But don’t just toss this, make a corn cob pipe 😉 In all seriousness though, you could store them in the freezer and smoke them on your charcoal grill instead of wood-chips. Alton is very crafty indeed! So why did we use the spine side of knife you ask? This is why. 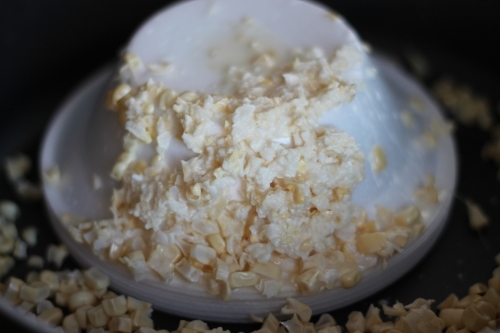 All the sweetness comes from the endosperm. You don’t want to leave that behind. 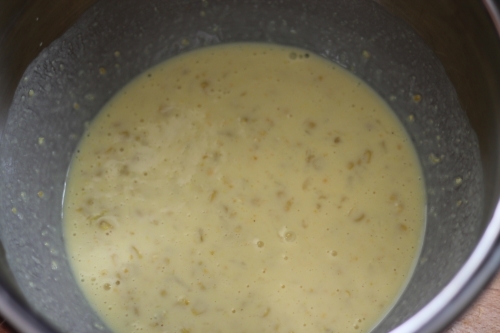 Add cream and cook until corn has softened. Don’t forget to fish out the rosemary before serving. I had this on the side of these yummy ribs. 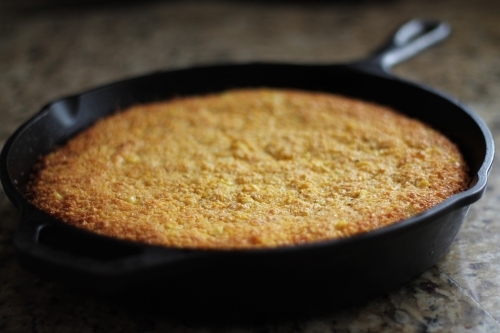 Now that we have the Creamed Corn, we can make the Creamed Corn Cornbread! Get out your cast iron skillet. I used my 10″ one for this recipe. If you don’t have one, I highly recommend getting one. They’re a kitchen necessity for me and are generally inexpensive. Throw this bad boy in the oven while it preheats to 425 degrees. 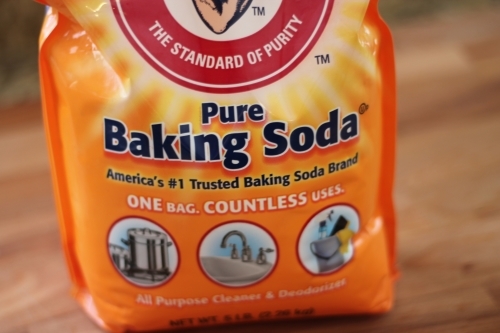 Grab your 5lb bag of Baking Soda…or a more reasonably sized package. 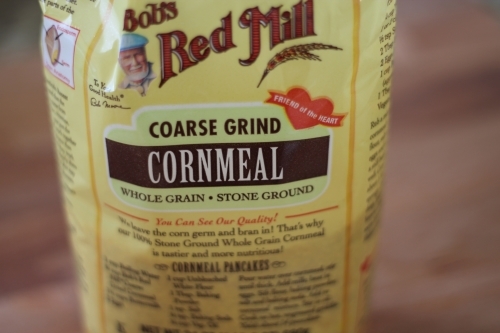 I live by the motto “Go big or go home!” For this recipe, try to find the Stone Ground Cornmeal, it really does make a difference. 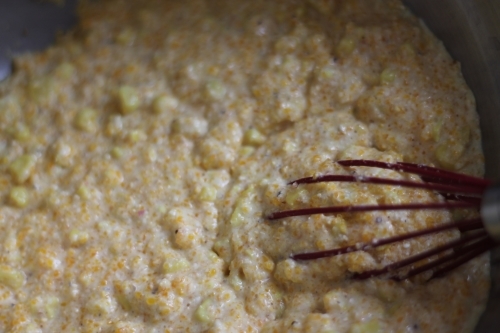 In a bowl, combine the cornmeal, salt, sugar, baking powder, and baking soda. 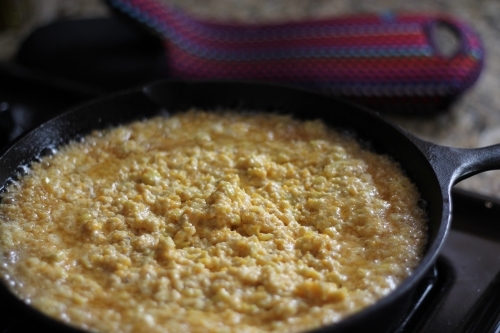 Grab your skillet out of the oven. It will be HOT! 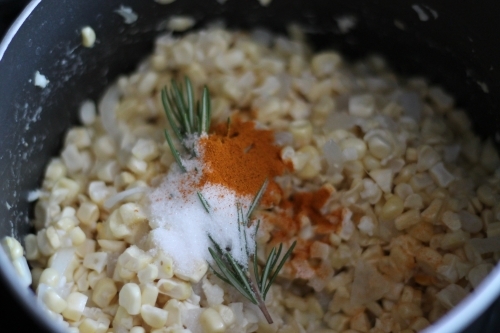 Pour the corn mixture right in. You can already see it sizzling on the edges. Put back in the oven and bake for 20 minutes The corn bread easily comes out when you invert it. Flip it back over on a plate. It’s okay if there’s a rogue corn kernel popping out, he just wants to say hi 🙂 Cut and serve! Place a 10-inch cast iron skillet into the oven. 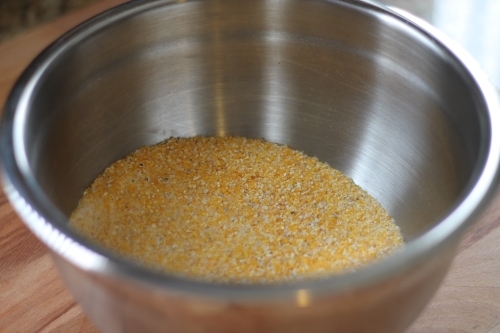 In a bowl, combine the cornmeal, salt, sugar, baking powder, and baking soda. Whisk together to combine well. 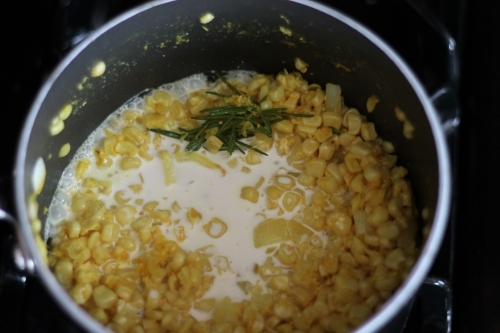 In a large bowl, combine the buttermilk, eggs, and creamed corn, whisking together to combine thoroughly. 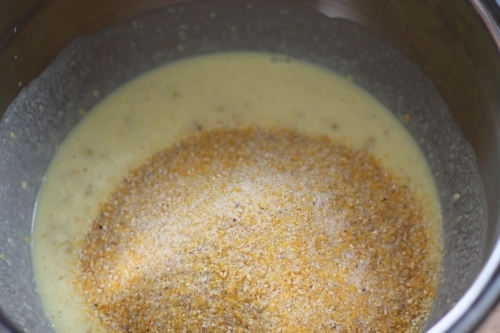 Add the dry ingredients to the buttermilk mixture and stir to combine. 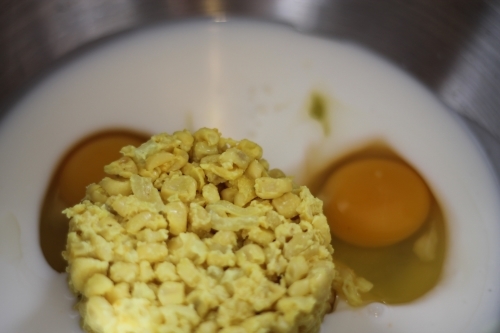 If the batter will not pour, add more buttermilk to the batter. 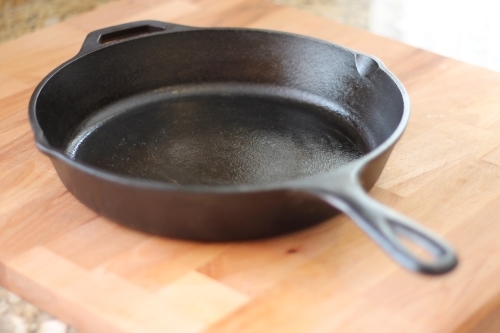 Swirl the canola oil in the hot cast iron skillet. Pour the batter into the skillet. 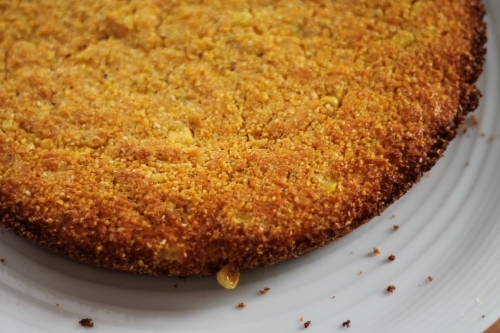 Bake until the cornbread is golden brown and springs back upon the touch, about 20 minutes. 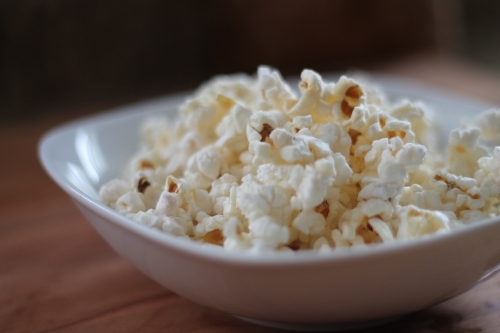 Put the popping corn, oil, and salt into the bag. Seal it up with 2 staples. Microwave on high for 2-3 minutes or until there’s 5 seconds between the pops. Last episode of Season 2…brings a little tear to your eye doesn’t it? Thank you Alton for another great season. Onward and upward! See you in Season 3!